We manufacture bearing cover which is used for protecting & enclosing the bearing. 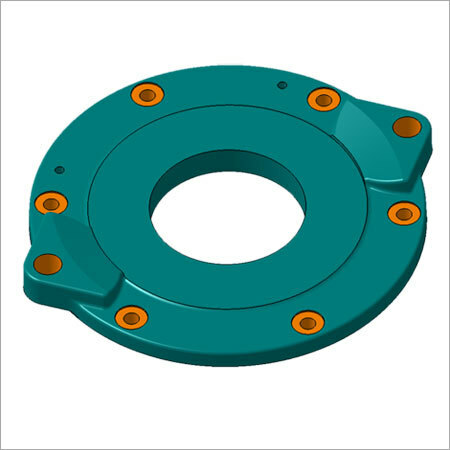 Our heavy duty bearing cover is available in different styles for 'n' number of bolt flanged. Also the bearing cover is offered in different sizes, to suffice the demands of various manufacturers. We have precision CNC machined the avant-garde heavy duty bearing cover plate using billet steel, which is zinc plated. Hence, their strength is extremely high, making them wear resistant. These are rigid in construction and assist in good shifting performance throughout the overall transmission. It can used with engines having extremely high horsepower, since these can keep the main shaft in its original place. The bearing cover is corrosion resistant, has higher tensile strength and elevated shear strengths.